The duration of this music is 1 1/2 minutes. It is useful as a study of arpeggios. It is rhythmically simple with eight notes in triplets. The time signature is 12/8 and the tempo is Allegro. The key is D major. 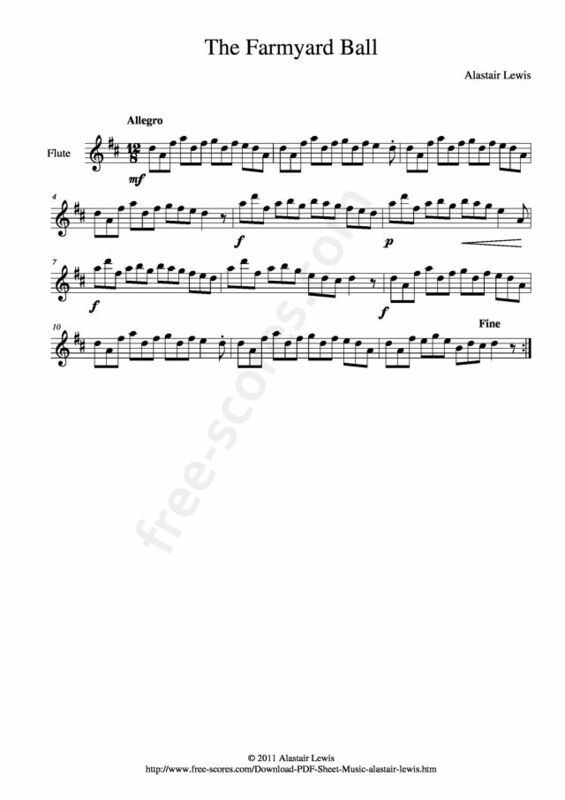 This is a free sheet music for flute.